USF recently licensed U.S. Patent # 8,045,954 – Wireless Emergency-Reporting System to EmergenSee, a leading provider of mobile apps for personal safety and security. 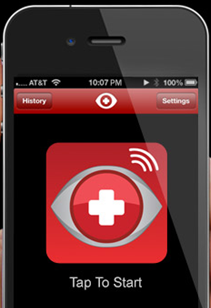 EmergenSee is the only live-streaming video security system on the market. Read more in the Tampa Bay Business Journal. This entry was posted in News and Media, Patents. Bookmark the permalink.